Free/Open Source church worship & presentation software. 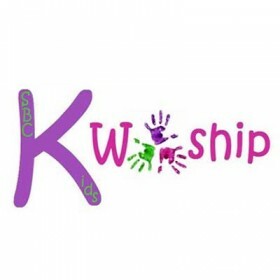 KWorship is intended to become a fully featured church worship display manager that works well on Linux in particular. In my experience, other similar open source programs lack many of the features which I want, so I am writing KWorship to satisfy my itches as well as to get some experience with Qt/KDE programming. Because KWorship is still under development you cannot download binaries from here. The source code is available below if you want to build it yourself. KWorship is designed to be as modular as possible so that it can be extended easily to integrate with new programs and libraries. For example it has an abstract presentation API to integrate with slide-show programs such as OpenOffice.org's Impress and KOffice's KPresenter. It also has a bible manager API to integrate with bible data sources such as SWORD and BibleGateway.com. It can currently display pictures and play video files (including flash videos). Nice font effects such as outlines and shadows so lyrics stand out on pretty backgrounds.